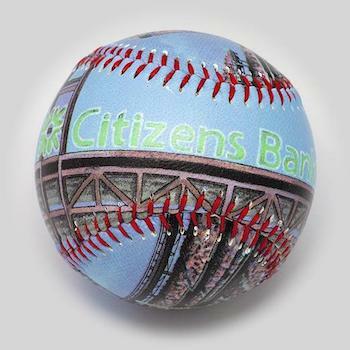 The home of the Philadelphia Phillies, Citizens Bank Park opened on April 9, 2004. One panel of the baseball has an inside field view including billboards and stadium seats. The other panel has a view of the outside of the stadium. 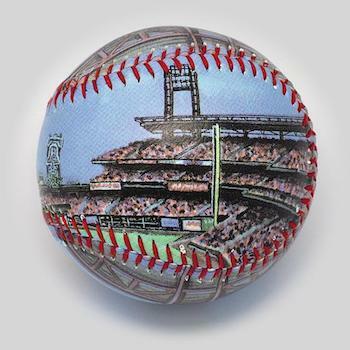 Paintings by Emily Wolfson printed onto authentic baseballs. Includes a protective clear lucite display box. Click the image to see it larger.